DeLuca, VP of People’s United Bank and president of Contractors For Kids. Woodbury, NY The Long Island chapter of Construction Financial Management Association (CFMA) held its 10th Annual Dinner Gala, which benefitted Contractors For Kids (CFK). The reception raised more than $84,000 for families of children with serious illnesses supported by CFK. 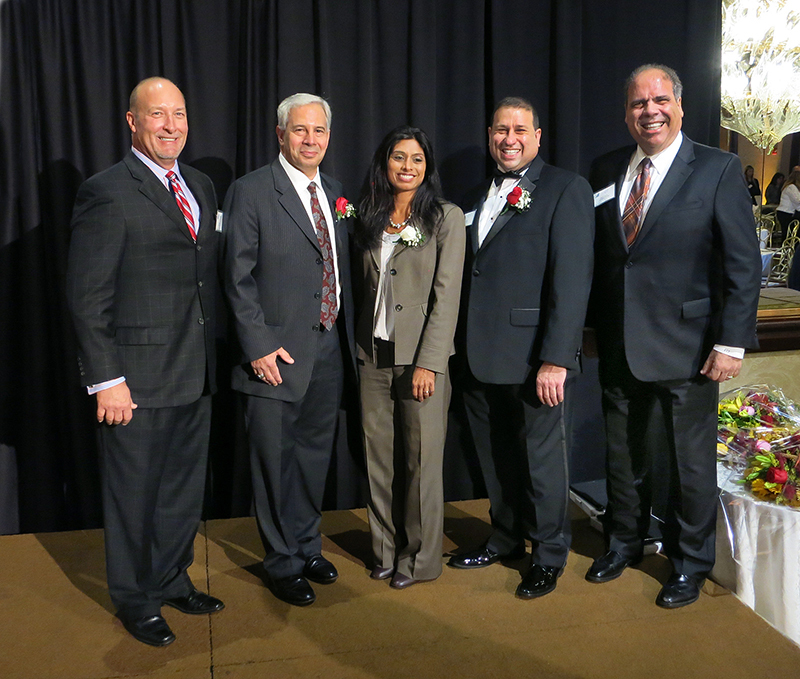 During the gala, which was attended by nearly 300 construction, real estate, engineering, architecture, and finance professionals, CFMA recognized Richard Felicetta, president of RJ Industries, and Shila Shah-Gavnoudias, P.E., commissioner of Nassau County Department of Public Works as Construction Executives of the Year. CFK honored Andrew Meyerson, CPA, CFO of Axis Construction, for his dedication and support of the organization’s programs. “Each year, the Long Island chapter of the CFMA directs its philanthropic efforts toward aiding Contractors For Kids. To date, our Annual Construction Executive of the Year Dinner Galas have raised in excess of $600,000 to benefit CFK families. 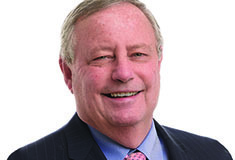 The 2017 Construction Executives of the Year are great examples of the construction industry’s dedication to the community,” said Stephen Ebinger, president of the CFMA Long Island chapter and partner in the Jericho office of CohnReznick LLP. “I am greatly honored by this recognition from the CFMA of Long Island. I feel this award belongs to the hundreds of Long Island construction and finance professionals, who have for more than a decade selflessly supported CFK and its programs assisting families facing financial hardships due to a child’s health crisis,” said Felicetta. “Tonight’s event recognizes the struggles of families in financial crisis due to an illness of their child. I am humbled by being included among the incredibly generous construction professionals of Long Island who support Contractors For Kids and other programs in their communities,” said Shah-Gavnoudias. “I am very proud to be recognized by Contractors For Kids. There is no more important goal than relieving hardships faced by ill children and their families,” added Meyerson. Founded in 1981, CFMA is the only organization in the United States dedicated to bringing together construction financial professionals. CFMA serves more than 7,500 members via 94 chapters located throughout the U.S. and Canada. The Long Island chapter was established in 1991. The organization’s members have been supporting Contractors For Kids through sponsorship and volunteering for over a decade. Established in 2005 by business partners and owners of Stalco Construction, Kevin G. Harney and Alan Nahmias, the all-volunteer CFK has attracted enthusiastic support from over 300 real estate firms, financial companies, builders, architects, engineers, and other businesses. To date, CFK has raised nearly $3 million and has assisted more than 500 families, including nearly 50 cases in 2017. Since 2013, the Kids 4 Kids youth volunteer chapter supports CFK’s programs. The non-profit serves as a financial lifeline of last resort after families have exhausted all other resources. The stories of families who turn to CFK for assistance vary as much as the illnesses endured by their children. CFK recently assisted the mother of a teenage boy who suffered extensive burns and a cardiac arrest due to an explosion. The accident caused widespread injuries, a permanent disability, and a prolonged rehabilitation. The boy’s mother sold most of her belongings and lived at a hospital taking care of her son for more than a year. CFK assisted the family with payments for food, phone bills, and medical and personal care supplies. The organization covered travel expenses for parents of a four-year-old boy, who experiences up to 100 seizures ever day and receives treatments in another state. CFK also helped another low-income family by covering all funeral expenses following the death of their five-year-old daughter.